Who would have thought that a programme about amateur bakers could become a runaway success? 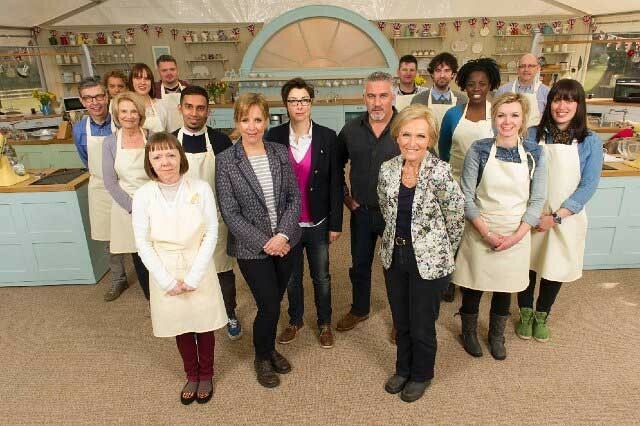 But, in the four years since it began, The Great British Bake Off has become one of BBC2’s most popular series. Lighting such a show may seem as easy as, well, baking a cake. But the simplicity of the show’s concept belies the challenge that comes with rigging a set in the middle of a field, a challenge leading lighting supplier Stage Electrics stepped up to and conquered. "The first series of The Great British Bake Off travelled around the UK and the logistical challenges involved were considerable," says Stage Electrics project manager Russell Payne, who has worked on the show since the very start. "A company that could handle the logistics of moving tents, lighting, power, etc, was needed. We do a lot of work with the BBC and, as one of only a few companies that have the infrastructure to supply what was necessary, the production company who produce the series, Love Productions, called me to ask if we would come and talk to them about a new show." Being brought in at the start meant the Stage Electrics team became an integral part of the show’s design process, with Russell brining in BAFTA Award winning lighting designer Nick Collier to help design the lighting rig. "This type of thing hadn’t really been done before," says Russell. "And to provide a temporary installation, that’s safe and has power, in the middle of a field requires a fair bit of infrastructure. "We had to do an entire production in a tent, making sure that, come wind, rain, or whatever else the British weather threw at it, it wouldn’t be affected, and with very little available power. On top of that, we had to account for 13 cooking stations that have two ovens each, food processors, hot water, hand-washing facilities and mains power." Stage Electrics answer was to custom build a lighting solution that now sits in the roof of the The Great British Bake Off’s tent, providing the same, very even lighting for each subsequent series. "We’re now starting series five and have done all the spin offs including Junior Bake Off, The Great Comic Relief Bake Off and Sport Relief Bake Off. It’s a huge success story for the BBC and a great bit of quirky British television we’re really proud to be involved in."